A credit union is a cooperative financial institution that is owned and controlled by its members and operated for the purpose of promoting thrift, providing credit at reasonable rates, and providing other financial services to its members. Many credit unions exist to further community development or sustainable international development on a local level. The World Council of Credit Unions (WOCCU) defines credit unions as "not-for-profit cooperative institutions". In practice however, legal arrangements vary by jurisdiction. For example in Canada credit unions are regulated as for-profit institutions, and view their mandate as earning a reasonable profit to enhance services to members and ensure stable growth. In some places, credit unions are called by other names; for example, in many African countries they are called "savings and credit cooperative organizations" (SACCOs), "to emphasize savings before credit". in Spanish-speaking countries, they are often called cooperativas de ahorro y crédito, but in Mexico they are typically called a caja popular. French terms for "credit union" include caisse populaire and banque populaire. Afghan credit unions are called "Islamic investment and finance cooperatives" (IIFCs) and comply with Islamic banking practices. A credit union's policies governing interest rates and other matters are set by a volunteer Board of Directors elected by and from the membership itself. Credit unions offer many of the same financial services as banks, often using a different terminology; common services include: share accounts (savings accounts), share draft accounts (checking accounts), credit cards, share term certificates (certificates of deposit), and online banking. Normally, only a member of a credit union may deposit money with the credit union, or borrow money from it. As such, credit unions have historically marketed themselves as providing superior member service and being committed to helping members improve their financial health. In the microfinance context, "[c]redit unions provide a broader range of loan and savings products at a much cheaper cost [to their members] than do most microfinance institutions". Based on data from the World Council of Credit Unions, at the end of 2006 there were 46,377 credit unions in 97 countries around the world. Collectively they served 172 million retail members and oversaw US $1.1 trillion in assets. Note that the World Council does not include data from co-operative banks, so that, for example, some nations generally seen as the pioneers of credit unionism, such as Germany, France, Netherlands and Italy, are not included in their data. The European Association of Co-operative Banks reported 34 million members in those four countries at the end of 2005. The nations with the most credit union activity are highly diverse. According to the World Council, nations with the greatest number of credit union members included the United States (87 million), India (20 million), Canada (11 million), South Korea (4.7 million), Japan (3.6 million), Mexico (3.6 million), Australia (3.5 million), Kenya (3.3 million), Ireland (3.0 million), Thailand and Brazil (2.6 million each). Countries with the highest percentage of members in the economically active population were Dominica (147% [numbers higher than 100% are possible because the average person is a member of more than one credit union]), Ireland (110%), Barbados (72%), Trinidad & Tobago (57%), Canada (48%), the United States (43%), Benin (27%), Australia (26%), Senegal and Mali (19% each). Friedrich Wilhelm Raiffeisen started credit unions in rural Germany. Modern credit union history dates to 1852, when Franz Hermann Schulze-Delitzsch consolidated the learning from two pilot projects, one in Eilenburg and the other in Delitzsch in Germany into what are generally recognized as the first credit unions in the world. He went on to develop a highly successful urban credit union system. 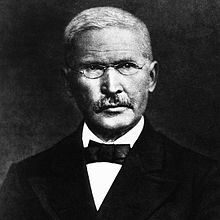 In 1864 Friedrich Wilhelm Raiffeisen founded the first rural credit union in Heddesdorf (now part of Neuwied) in Germany. Although Schulze-Delitzsch can claim chronological precedence, Raiffeisen is often viewed as more important today. Rural communities in Germany faced a far more severe shortage of financial institutions than the cities. They were viewed as unbankable because of very small, seasonal flows of cash and very limited human resources. The organizational methods Raiffeisen refined there, which levered what is today called social capital, have become a hallmark of the global credit union identity. By the time of Raiffeisen's death in 1888, credit unions had spread to Italy, France, the Netherlands, England and Austria, among other nations. The Raiffeisen name is still used by Raiffeisenbank, the largest banking group in Austria (with subsidiaries throughout Central and Eastern Europe), Rabobank (Netherlands) and similarly named agricultural credit unions in Germany. The first credit union in North America, the Caisse Populaire de Lévis in Quebec, Canada, began operations on January 23, 1901 with a ten cent deposit. Founder Alphonse Desjardins, a reporter in the Canadian parliament, was moved to take up his mission in 1897 when he learned of a Montrealer who had been ordered by the court to pay nearly $5,000 in interest on a loan of $150 from a moneylender. Drawing extensively on European precedents, Desjardins developed a unique parish-based model for Quebec: the caisse populaire. In the United States, St. Mary's Bank Credit Union of Manchester, New Hampshire holds the distinction as the first credit union. Assisted by a personal visit from Desjardins, St. Mary's was founded by French-speaking immigrants to Manchester from Quebec on November 24, 1908. America's Credit Union Museum now occupies the location of the home from which St. Mary's Bank Credit Union first operated. Pierre Jay, then-Massachusetts Commissioner of Banks, and Edward Filene, a Bostonian merchant, were central in establishing enabling legislation in Massachusetts in 1909. The Woman's Educational and Industrial Union, credited with many social service initiatives, heard of this cooperative financial model and wrote to DesJardins. He provided them with the data they needed, and on November 23, 1910, they created Industrial Credit Union, the first non-faith-based or community credit union, established for all people in the greater Boston community. St. Mary's Credit Union (not to be confused with St. Mary's Bank Credit Union) was established in Marlborough in 1913. Serving any resident of the Commonwealth of Massachusetts, St. Mary's Credit Union is the oldest state-wide Credit Union nationally. Filene also created the Credit Union National Extension Bureau, the forerunner of the Credit Union National Association, which was formed as a confederation of state leagues at a meeting in Estes Park, Colorado, in 1934. Attendees at the meeting included Dora Maxwell who would go on to help establish hundreds of credit unions and programs for the poor and Louise McCarren Herring, whose work to form credit unions and ensure their safe operation earned the title of "Mother of Credit Unions" in the United States. In the same year, Congress passed the Federal Credit Union Act, which permitted credit unions to be organized anywhere in the United States. The legislation allowed credit unions to incorporate under either state or federal law, a system of dual chartering that persists today. In the credit union context, "not-for-profit" should not be confused with "non-profit" charities or similar organizations. Credit unions are "not-for-profit" because they operate to serve their members rather than to maximize profits. But unlike non-profit organizations, credit unions do not rely on donations, and are financial institutions that must turn what is, in economic terms, a small profit (i.e. "surplus") to be able to continue to serve their members. According to WOCCU, a credit union's revenues (from loans and investments) need to exceed its operating expenses and dividends (interest paid on deposits) in order to maintain capital and solvency and "credit unions use excess earnings to offer members more affordable loans, a higher return on savings, lower fees or new products and services". WOCCU's position is deeply rooted in global credit union history. F.W. Raiffeisen, the founder of the global movement, wrote in 1870 that credit unions "are, according to paragraph eleven of the German law of cooperatives, "merchants" as defined by the common code of commerce. They accordingly form a sort of commercial business enterprise of which the owners are the [Credit] Unions' members". Most credit unions provide service only to individual consumers. By contrast, corporate credit unions (also known as central credit unions in Canada) provide service to credit unions, with operational support, funds clearing tasks, and product and service delivery. The largest corporate credit union in the United States is U.S. Central Credit Union of Lenexa, Kansas, which serves as a central clearing house for other corporate credit unions and holds approximately $45.3 billion in assets. The World Council of Credit Unions is both a trade association for credit unions worldwide and a development agency. WOCCU's mission is to "assist its members and potential members to organize, expand, improve and integrate credit unions and related institutions as effective instruments for the economic and social development of all people". Credit unions with a specific focus on serving low- and moderate income people and communities, most of which are typically low-income designated by the National Credit Union Administration (NCUA), often join the New York, New York-based National Federation of Community Development Credit Unions (Federation), a national trade association providing investments, technical assistance, education and training and advocacy for community development credit unions (CDCUs) nationwide. The Credit Union Executives Society (CUES), based in Madison, Wisconsin, provides professional development and resources to thousands of credit union executives and directors worldwide. It partners with world-renowned universities to offer graduate-level executive education specifically for credit union leaders. The biggest UK credit union trade association is the Association of British Credit Unions Limited, more commonly known as Association of British Credit Unions, ABCUL. A significant number of credit unions are affiliated to ACE Credit Union Services (ACECUS) or UK Credit Unions (UKCU). Many Scottish credit unions are represented by the Scottish League of Credit Unions (SLCU) which has headquarters in Glasgow; however the majority of larger credit unions choose ABCUL. Credit Union Central of Canada is the trade association for Canada's credit unions outside Quebec. The Desjardins Group represents Quebec's credit unions. Structurally, it blends the functions of a trade association and a more European-style cooperative bank. In New Zealand, most credit unions are affiliated to the New Zealand Association of Credit Unions. Credit unions in the United Kingdom have a long history. Identical or similar institutions to the present-day credit union were known as mutual societies within the United Kingdom. Institutions known as mutual societies grew out of the friendly society movement of the 18th century, with the first mutual insurer, Equitable Life, being founded in 1762. The emergence of mutual assurance was linked with the Industrial Revolution and the need to provide for impoverished workers beyond the outmoded Elizabethan Poor Laws, as people congregated in the cities and lived in conditions of squalor and poverty. The principle of mutuality goes back to this epoch, when the sophisticated financial institutions taken for granted today, did not exist. The only method of improving the quality of ordinary people’s lives was through the development of co-operative and mutual societies, as formalised under the Friendly Societies Act 1819. Mutual institutions thus predated the welfare state and were formed to meet the needs of a burgeoning working class, consisting mainly of rural and immigrant workers. As a practical expression, this communitarian self-help movement allowed small regular individual contributions to be pooled for mutual collective benefit, obtaining the same economies of scope and scale necessary in providing collective insurance and banking products, to mitigate enduring social exclusion. Initially funding was required for housing, consumer durables and emergency insurance provision, at a time when commercial banks were still exclusively commercial lenders. Building societies were formed as small temporary societies by worker co-operatives, pooling resources to build local houses and subsequently allocating them among members by drawing lots. Once all members were housed, these organisations were typically wound up, although some became permanent societies in an effort to promote wider home ownership, as exemplified by the Leeds Permanent Building Society, see. Surplus funds were then pooled, providing an opportunity for low-income families to earn interest on small deposits, with proceeds typically invested in residential mortgages and liquid government securities. The traditional intermediation function of mutual societies was to promote thrift among the working classes and thereby provide access to low cost home loans. This ethos has become obscured in the recent battle for customers, and only the very real threat of extinction has occasioned any renewed vigour in proclaiming the original mutuality message. Mutual societies continue to perform vital social functions, often serving on the boards of local community groups, as well as regularly making sizeable local charitable donations. Indeed, the mutual legacy of social benefaction, although quite substantial, risks only being missed by the present generation once such institutions ultimately cease to exist. With the conversion of most of the larger remaining mutual societies into proprietary companies, the bulk of the UK savings assets will have shifted away from their traditional providers into the mainstream UK financial sector. This change is occurring even as the traditional barriers between banks, building societies and insurance companies are disappearing. The spate of conversions is leading to a polarisation into two camps: the converters and the remaining mutuals. Credit unions in the United Kingdom have been regulated by the Financial Services Authority since July 2002. They are classified in two types: type 1 are the smaller credit unions while type 2 are larger. From November 2006 many type 2 credit unions began offering their members debit card accounts so that they could withdraw cash from any Link ATM. In August 2010 the FSA will enact the CU-LRO (Credit Union - Legislative Reform Order) and widen access and modernise the powers of individual credit unions. In October 2008 the Financial Services Compensation Scheme guaranteed the first 50,000 pounds of each saver's deposits in credit unions, in line with the guarantee for UK banks and building societies. Credit unions in the UK now offer a wide range of services to their members; from direct debits to payroll deductions, from being able to send standing orders from their accounts to paying members bills to providing cheaper insurance facilities. Life insurance is usually included with membership (subject to pre-existing medical conditions and other exclusions). Death benefits vary between unions, but commonly include lump sum payments, writing off of outstanding loans and doubling of savings. Credit unions offer savers considerably more protection than commercial "savings clubs", as was demonstrated by the 2006 collapse of the Christmas hamper club Farepak. In June 2008, the Treasury announced plans to encourage the growth of credit unions by broadening the common bond and removing outdated restriction. The changes are intended to significantly reduce the influence of door step lenders and loan sharks. In June 2010, the Credit Union put forward plans to modernize the credit union. Canada has the highest per-capita use of credit unions in North America, with more than a third of the population enrolled in one. They are popular in Quebec, where they are known as caisses populaires (people's banks). As of December 31, 2007, the Caisses Populaires Desjardins federated 536 member caisses with CAD$ 144 billion in assets and 5.8 million retail members, making it the sixth largest financial institution in Canada. In Alberta, 46 independent credit unions, with 215 branches, serve more than 640,000 members. In Saskatchewan, 65 credit unions have 497,000 members and $12.2 billion in assets. Manitoba's 45 credit unions have 566,000 members with $14.6 billion in assets. In Ontario, 136 credit unions have 1.2 million members with $19.2 billion in assets. Major Canadian credit unions include Vancity (Vancouver), Coast Capital Savings (Surrey), Servus Credit Union (Edmonton), First Calgary Savings, Conexus Credit Union (Saskatchewan), Meridian Credit Union (Ontario), Libro Financial Group (London, Ontario) and Credit Union Atlantic (Halifax). In the United States, as of 2005 credit unions have 86 million members, which is 43.47% of the economically active population. U.S. credit unions are not-for-profit, cooperative, tax-exempt organizations. U.S. credit unions can be chartered by either the federal government ("federal credit unions") or by a state. The states of Delaware, South Dakota, and Wyoming do not regulate credit unions at the state level; in those states, a credit union must obtain a federal charter to operate. All federal credit unions and 95% of state-chartered credit unions have "share insurance" (deposit insurance) of at least $250,000 per member through the National Credit Union Share Insurance Fund (NCUSIF). This deposit insurance is backed by the full faith and credit of the United States government and is administered by the National Credit Union Administration. As of December 2006, the NCUSIF had a higher insurance fund capital ratio than the fund for the Federal Deposit Insurance Corporation (FDIC). U.S. credit unions also typically have higher equity capital ratios than U.S. banks. As of April 2010, the largest american credit union was Navy Federal Credit Union, serving U.S. Department of Defense employees, contractors, and families of servicepeople, with over $40.7 billion USD in assets and over 3.4 million members. Industry trade organizations include the American Credit Union Mortgage Association. ^ Sullivan, arthur; Steven M. Sheffrin (2003). Economics: Principles in action. Upper Saddle River, New Jersey 07458: Pearson Prentice Hall. p. 511. ISBN 0-13-063085-3. http://www.pearsonschool.com/index.cfm?locator=PSZ3R9&PMDbSiteId=2781&PMDbSolutionId=6724&PMDbCategoryId=&PMDbProgramId=12881&level=4. ^ National Federation of Community Development Credit Unions, "What is a CDCU?" ^ a b c WOCCU, "What is a Credit Union? ^ World Council of Credit Unions, 2006 Statistical Report. ^ European Association of Cooperative Banks, Annual Statistical Report, 2005. ^ "St. Mary's Credit Union". http://www.abettercreditunion.com. Retrieved 2009-08-24. ^ Compare "not-for-profit", definition B, noun, Oxford English Dictionary (2008) ("An organization, corporation, etc., which does not operate for the purpose of making a profit". ), with "non-profit", definition A(2), noun, Oxford English Dictionary (2008) ("A non-profit-making organization; spec. a charity".). ^ "not-for-profit", definition A, adjective, Oxford English Dictionary (2008) ("Designating an organization, corporation, etc., which does not operate for the purpose of making a profit. Cf. NON-PROFIT, adj., FOR-PROFIT adj"
^ WOCCU, "What is a Credit Union?" ("As not-for-profit cooperative institutions, credit unions use excess earnings to offer members more affordable loans, a higher return on savings, lower fees or new products and services"
^ The Microfinance Gateway, "Credit Unions: Questions to Barry Lennon of WOCCU" (follow link to "Credit Unions: Questions to Barry Lennon of WOCCU") ("Credit unions don't try to maximize profitability by charging high fees or rates of interest because they are owned by the people who use their services"
^ F.W. Raiffeisen. The Credit Unions. Trans. by Konrad Engelmann. The Raiffeisen Printing and Publishing Company, Neuwid on the Rhine, Germany, 1970. ^ "Mission". WOCCU. http://www.woccu.org/about/mission/. Retrieved 2009-11-25. ^ a b ABCUL. Retrieved 2008-10-17. ^ FSCS FSCS - Consumer home page - Consumer Key Facts - Limitations of the scheme - Compensation Limits. Retrieved 2008-10-17. ^ British Government to Place Stricter Controls on Credit Unions. Daily Mail. 10 March 2002. ^ Credit union rules 'to be eased'. BBC News. 30 June 2008. ^ Desjardins: a model for the rest of Canada? (Quebec's Desjardins caisses populaires). Canadian Banker. 1 Jan. 1999. ^ Desjardins Group. Desjardins Group figures. ^ a b Credit Union Central of Canada. .
^ Massachusetts General Laws chapter 171, §§ 1-84 (2008). ^ Consumer Complaints and Hotline. National Credit Union Administration. ^ "NASCUS State-Chartered Credit Union Facts & Figures" (PDF). National Association of State Credit Union Supervisors. 2007-12-31. http://www.nascus.org/facts_figures_archive/12_31_07_FactsFigures.pdf. Retrieved 2008-07-19. ^ "Navy Federal official web site". https://www.navyfcu.org/about/about.php. Retrieved 2010-10-21. This page was last modified on 27 February 2011 at 12:41.